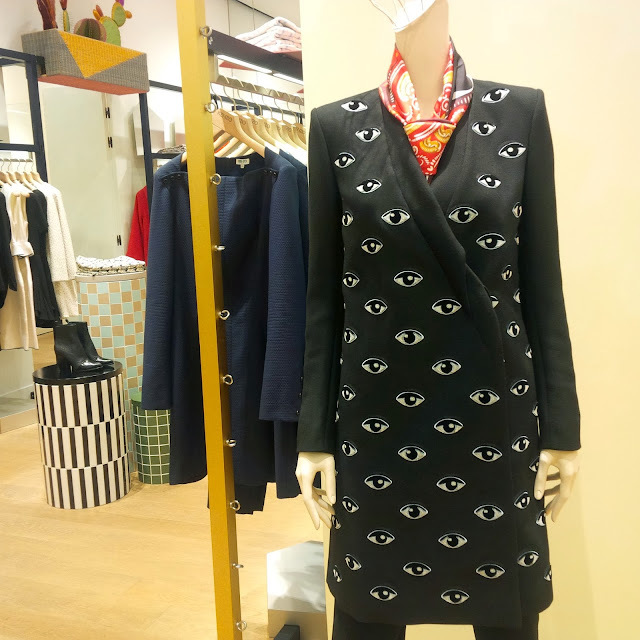 Finally I got to see the Kenzo coats with the eyes up close, the black one below was on my wishlist but I don't know why I hesitated last minute? Being short doesn't go well with long coats.. The coat above with the gorgeous design and colour also caught my attention it had a velvety texture to it as well ..
How is everyone feeling the new collection from Kenzo? 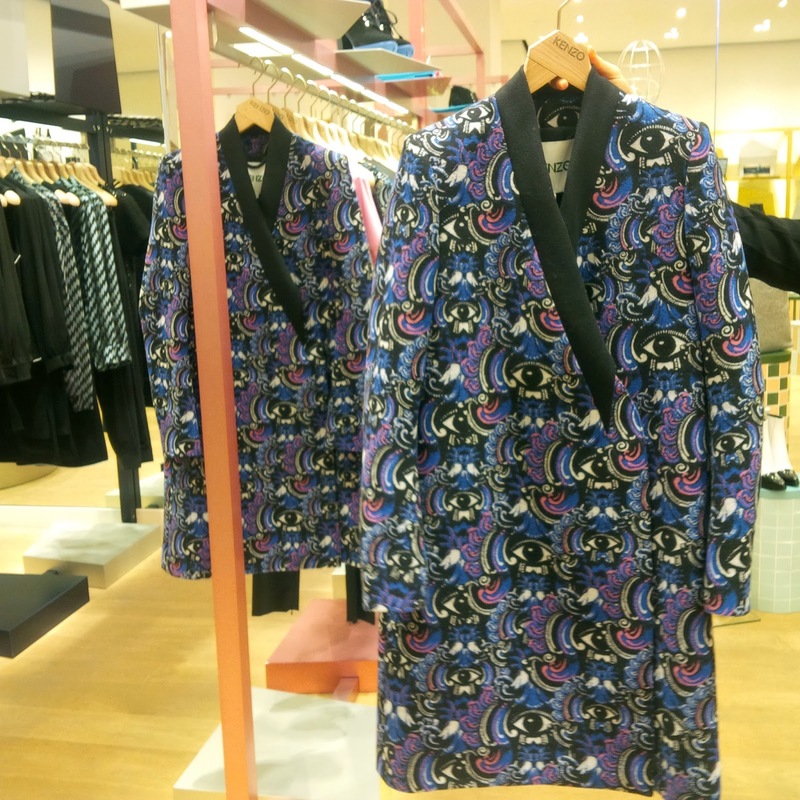 For me I feel it's a great change from the Kenzo tiger but would you dare to wear it?